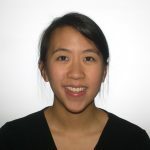 We are excited to announce the addition of Dr. Michelle Chan to the Advanced Training Program in Family Planning. Dr. Chan completed medical school at the University of Calgary, and a residency in Obstetrics and Gynecology at the University of Alberta. She will be joining our current senior trainee, Brigid Dineley.